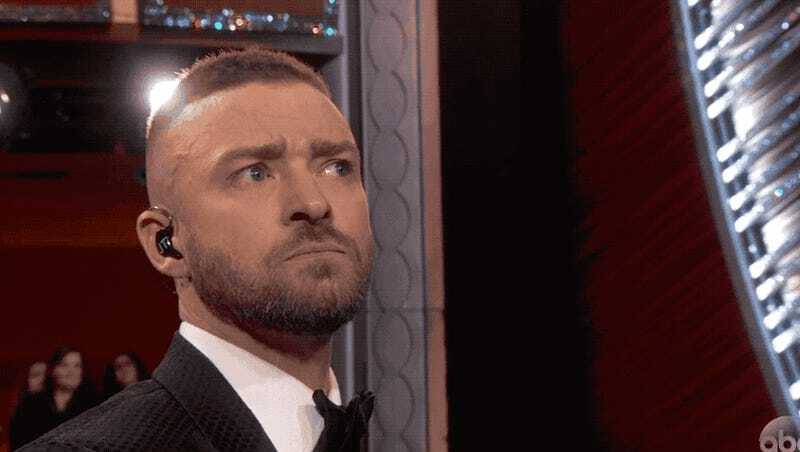 Shortly after his performance, Justin Timberlake went for a thrilling mic toss to Oscars host Jimmy Kimmel that showed why Timberlake pursued a career as a song and dance man rather than an athlete. After it went far askance on national television, the camera lingered on Timberlake’s face, a challenge which met with stoic aplomb. Please use the resulting GIF responsibly.